As an avid traveller, photographer, and foodie, I’m always fascinated by the people, culture, history, architecture, and culinary offerings of the places I’ve visited. I usually express those feelings of wonderment through my chosen art of photography. With this blog, I plan to continue my journey with a new mission, to try to put into words what I’ve seen, tasted, and wholly experienced, focusing on the culinary side of each adventure. So come, let’s take this journey together and explore the wonders of food. 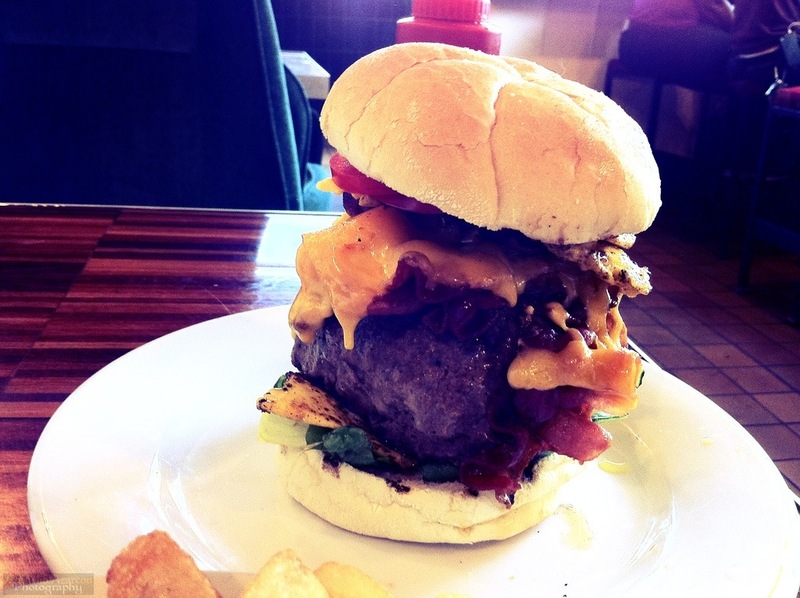 Oh dear lord…that is a burger. Hahaha, you should read my post on Dangerous Dan’s Diner. There’s more to it than just the burger. You can’t get the burger by itself. It’s part of a combo.